Willem Houtmeijer was born in Lienen to the south of Tecklenburg in Germany. In 1796 he lived in Nieuwerbrug in South-Holland. He was married in Linschoten on 17-4-1796 to Hendrikje Nout. She was born in Lageweide, to the west of Utrecht City. At the time of her marriage she was living in Barwoudswaarder to the northwest of Woerden. The villages of Nieuwerbrug and Barwoudswaarder are at a walking distance of just 3 km. Where in the World is Theunis Ariens van der Giesen? Arie Jansz. 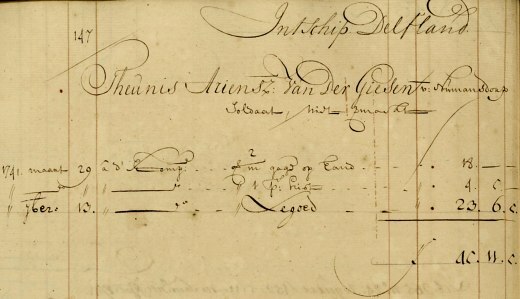 van der Giessen and Ariaantje Ariens Buijtendijk were married on 30 May 1717 in Westmaas, Holland. They became the parents of a large family of 11, including a son Theunis, baptized on 24 September 1719 in Numansdorp, Holland. Theunis Ariensz. van der Giessen, originating in Numansdorp, joined the Dutch East Inda Company (V.O.C.) as a soldier, protecting ships. On 29 March 1741 Theunis sailed from Goeree, an island in the southwestern part of Holland, on a flute ship named “Delfland”. Its skipper was named Egbert Verduin. Its crew consisted of 119 sailors and 60 soldiers, including Theunis. A long-distance voyage was hard on the health of a sailing ship’s crew. During the first 2-3 months of the voyage newcomers aboard usually developed scurvy due to a vitamin C deficiency. The “Delfland” arrived at Cape of Good Hope in South-Africa on 24 June, departing at 18 July. Ship and crew arrived on 11 September 1741 in Batavia, the capital of the Dutch East Indies, corresponding to the present-day city of Jakarta. After staying in Indonesia for over year, Theunis Ariensz van der Giessen was supposed to board ship for the homeward voyage on 20 November 1742, but he never turned up. He has been missing ever since. Sources: V.O.C. opvarenden bij het nationaal archief, huygens.knaw, VOCsite.nl. Geertrui Papenvelt was born on 12 June 1803 and baptized on the 16th in Emden, Germany. Her parents are Gerrit Papenvelt and Maria Noteboom. Her brother Jozef was born on 25 May 1805 and baptized there on the 30th. Gerrit Papevelt died on 29 June 1817 in Emden. His death was registered in Dordrecht, Holland, on 22 November 1819. As a widow Geertrui’s mother lived in ‘s-Gravendeel, Holland. Maria Noteboom died there as Gerrit's widow on 9 August 1852, aged 74. Her parents are Joost Noteboom (†1787) and Jannigje Korsse de Jong (†1795). Earlier, on 20 July 1826 in Vlaardingen, Holland, a woman named Teuntje Verboom had died as widow of Gerrit van Papenvelt. They had been married on 6 November 1796 in Vlaardingen, and they had had a son Arij Papevelt (1797-1854). Teuntje Verboom (1763-1826) was widow of Maarten Bos(ch). Gerrit Papenvelt was widower of Trijntje Noorthoek. 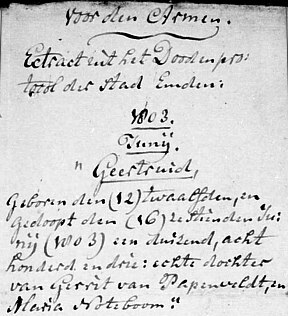 This first marriage had taken place on 6 May 1791 in Vlaardingen, and the surviving children of Gerrit's first marriage were Johannis (1791-), Teunis (1793-1843) and Peije (1794-1813). Did Gerrit Papenvelt move to Emden, Germany, to be able to contract a bigamous marriage to Maria Noteboom, or did Gerrit and Maria just pretend to be married, while living in Germany? Daatje de Sterke was born on Sunday December 14, 1834, around 1 o'clock in the afternoon in Werkendam in The Netherlands. Her parents are Pieter de Sterke (1794-1888) and his 29-year-old second wife Adriana de Vries (1806-1881). Adriana had been an illegitimate daughter of Jannigje de Vries, abandoned wife of Cornelis van Aalst. Daatje's paternal grandparents are my ancestors Pieter de Sterke (1765-1842) and Adriana Knikman (1766-1804). 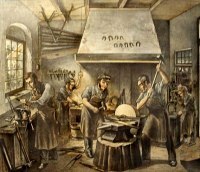 Daatje de Sterke was first married on 16 May 1855 in Dordrecht to blacksmith Jacob Vrolijk. Jacob was born on 27 August 1834 in Dordrecht. His parents are blacksmith Jacobus Vrolijk and his wife Sija van der Koog. This Sija is named after her grandmother Sija Brand (±1758-1803) who married Willem van der Koog (1734-1809). As a result, Sija van der Koog is a descendant of both my ancestors Jacobus van der Koogh (1710-1793) and Jillis Jacobsen Brand. Upon their marriage Daatje de Sterke and Jacob Vrolijk acknowledged to be the parents of a daughter named Hendrika, born in 1854 in Dordrecht, although it's unlikely that Jacob really was the girl's father, because little Hendrika was not named after any of her official grandparents. In 1857-58 Daatje gave birth to a daughter Sija and a son Pieter Jacobus, who both died young. Her husband, Jacob Vrolijk, died in Dordrecht on 19 October 1859, aged 25, while Daatje was pregnant again. When the boy was born on 13 May 1860, he was named after his father. As a widow Daatje de Sterke gave birth to a daughter named Catharina on 11 April 1863 around 8:30 in Dordrecht. This girl died on 18 June. On 5 December 1864 around 22:00 in Dordrecht Daatje gave birth to a son named Andries Anthonie. In both cases these births were reported at the civil registry office by the midwife. Nearly two years later, on 19 September 1866, Daatje de Sterke (31) was married to Anthoon van Leeuwen (28). They acknowledged to be the parents of Andries Anthonie. Antoon was born on 21 December 1837 in Dordrecht. His parents are Adrianus van Leeuwen and Johanna Margrita Keldermans. 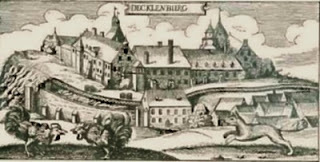 During her second marriage, Daatje de Sterke had 4 children who died young, but a son named Pieter and the youngest, Hendrika, survived infancy. Daatje's eldest daughter, Hendrika Vrolijk, died at the age of 18 on 4 March 1873 in Dordrecht. In the summer of 1883 Daatje de Sterke moved to Rotterdam with her children Andries Anthonie, Pieter and Hendrika. Of Daatje's 4 surviving children Pieter van Leeuwen (1866-1959) was the first to marry in 1887. Andries Anthonie van Leeuwen married in 1888. Jacob Vrolijk, a supervisor in the navy, was married in 1891. The last to marry was Daatje's youngest daughter Hendrika van Leeuwen who was married on 26-10-1898 in Rotterdam to Johannes George Vrolijk. The groom and the bride's half-siblings all descend from the couple Johannes George Vrolijk (±1782-1833) and Maaike Kraan (±1782-1857). In Dordrecht on 6 June 1894 Anthoon van Leeuwen died, aged 56. This time Daatje de Sterke was a widow for nearly 35 years. Daatje died on 10 March 1929 in Rotterdam, 94 years, 2 months, 2 weeks and 3 days old. Her son Pieter van Leeuwen would reach the age of 92 years. Another son, Andries Anthonie van Leeuwen, died on 29 January 1959 in Rotterdam, 94 years, 1 month and 25 days old.